Kenneth Ma warmly received at Jacqueline Wong’s sister’s wedding. 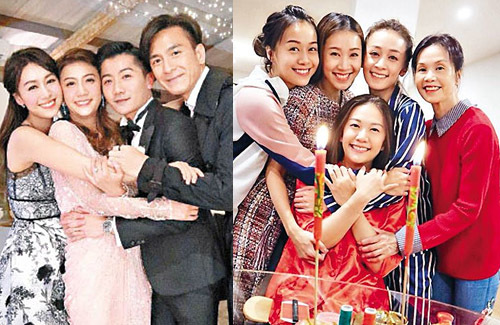 After publicly acknowledging their relationship, Jacqueline Wong (黃心穎) and Kenneth Ma (馬國明) often showcase their affection via social media or out on their dates. Jacqueline recently brought him to Australia to attend her sister’s wedding, hoping Kenneth would be there to celebrate with her family. The couple was seen going on a casual date in Melbourne, Australia. At first fans wondered why the two were there in the first place. 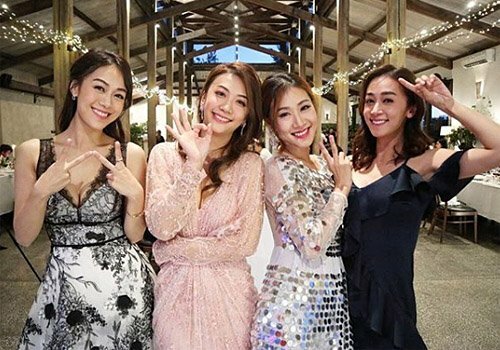 Not long after that, Jacqueline updated her Instagram, uploading various pictures of her third sister’s beautiful wedding banquet. Besides family members, Kenneth was also seen in many of the group shots, indicating that he is warmly welcomed by Jacqueline’s side of the family. Jacqueline’s oldest sister also shared some beautiful photos of the big day, including one with the bride walking down the aisle and one where Jacqueline was holding the train of the bride’s wedding gown. Above: Jacqueline with her three sisters.